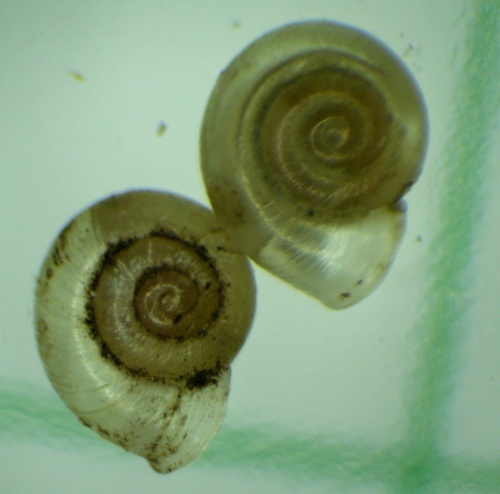 Smooth Grass Snail - Vallonia pulchella agg. 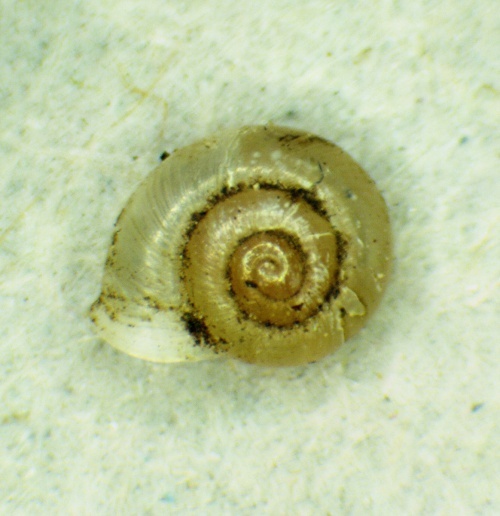 A very small snail (2mm) with a pale white or cream shell. It is flattened with a large umbilicus and a prominent lip around the mouth. 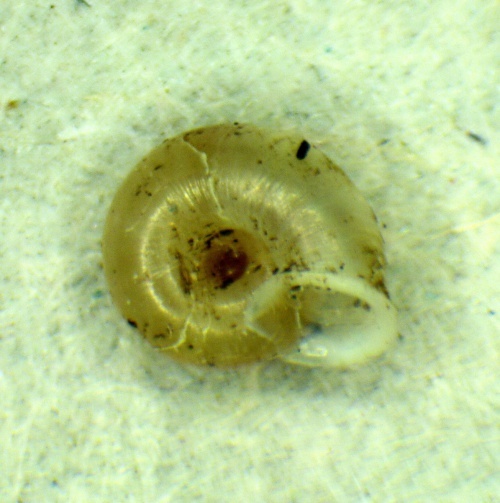 Most older records and treated as an aggregate with Vallonia excentrica. It is very similar to Vallonia excentrica and the two species were only separated relatively recently. V. pulchella is more rounded and with a less flared lip. Damp, open habitats, including wetlands and ditches.